It's a rather iconic line from Mythbusters. And I'm sure Jamie would be wanting to add the Artillery Team for The Other Side to his army. It's certainly a big boom. Check it out in Wyrd's Friday Preview. One of the most defining features of the King’s Empire is their widespread use of artillery on the battlefield. Their investment into firearms has paid dividends in both equipment for normal troops and the development of large-scale weapons like the howitzer. By achieving superior range over their opponents, the King’s Empire has managed to keep casualties down through the application of superior firepower. 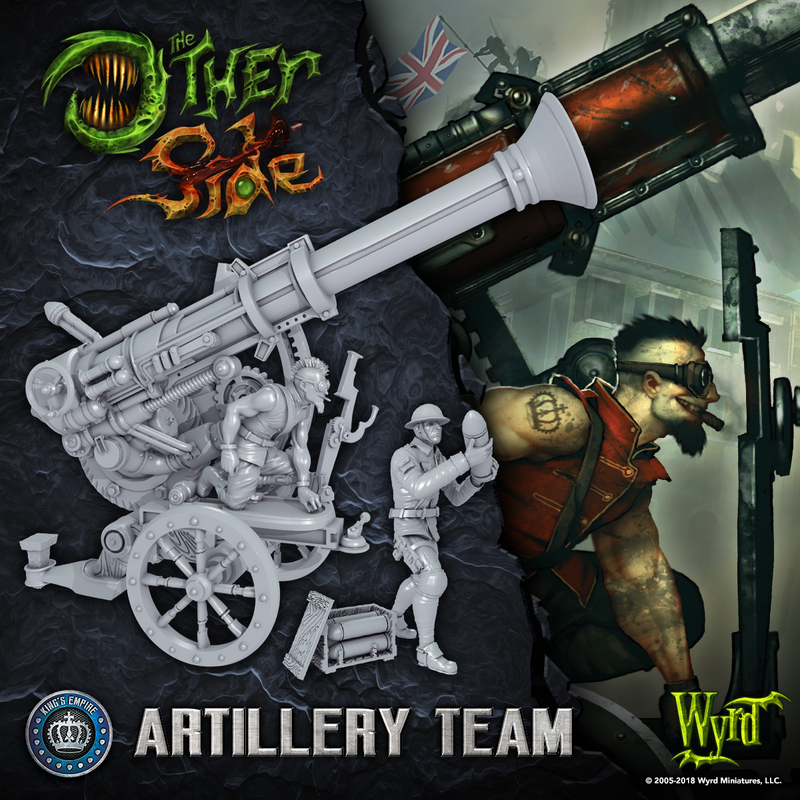 Typical Artillery Teams are made up of three soldiers: a gunner and two loaders. Even so, each member of the team trains in each position, allowing them to function even after they've suffered casualties.